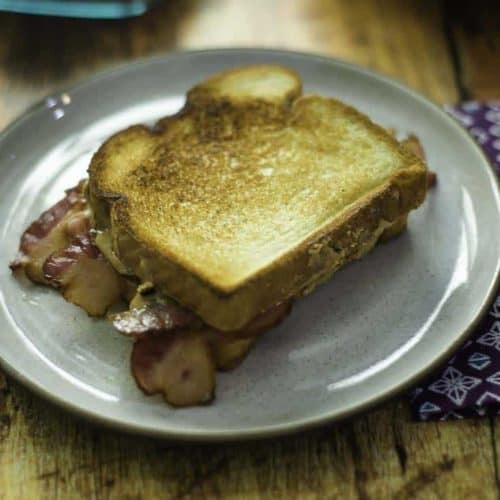 Have you ever imaged peanut butter and bacon when they are combined in a sandwich? Look no further, check out this unique breakfast sandwich. Becky’s Diner is located in Portland, Maine. Becky says that the quality of the bacon is the key in this sandwich. This is a popular sandwich among the breakfast crowd. Bake the bacon in the oven to help keep the grease away from the bacon. Use bacon that is dense and smooth for the best results. She uses the natural peanut butter that you need to stir the oil into before spreading. Here is a sandwich that everyone loves at Becky's Diner. Preheat oven to 400 degrees. Line a baking sheet with parchment paper. Lay the bacon on the baking sheet. Bake until done but not overly crisp, about 20 minutes. Drain on paper towels. 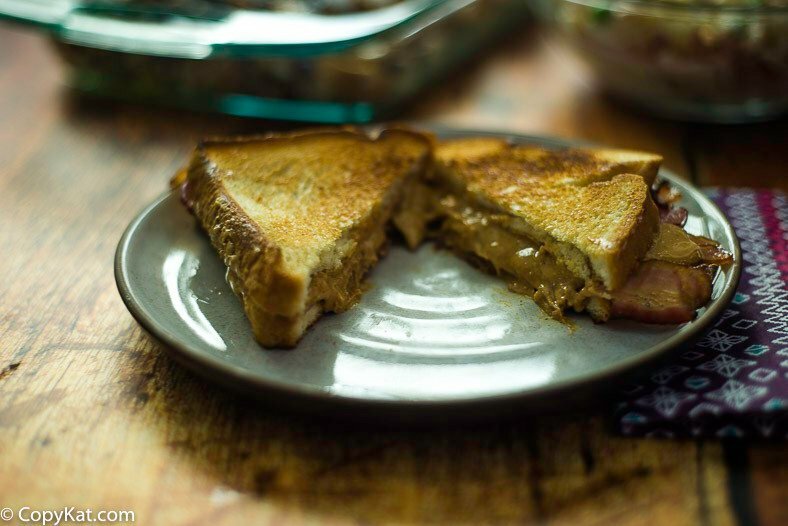 Toast the bread and spread 1 tablespoon of the peanut butter on each slice. 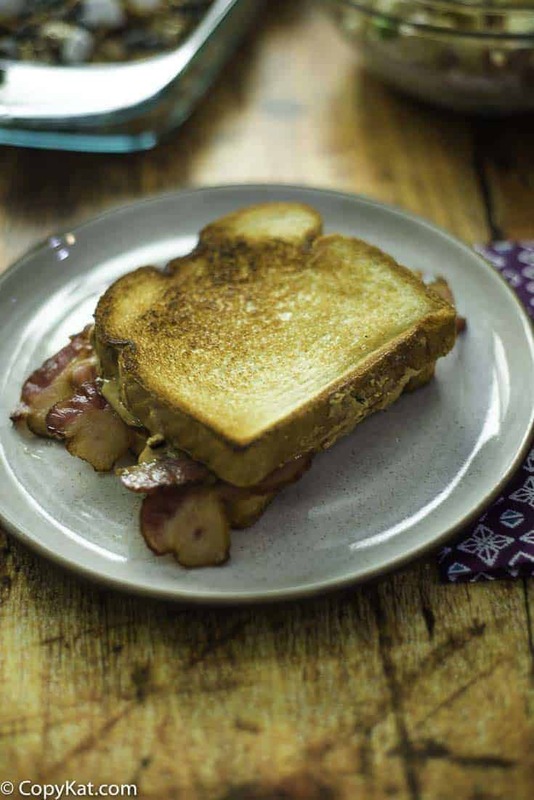 Lay the bacon on top of the peanut butter on the common slide, top with the other slide of bread and serve. I grew up in Brooklyn, NY in the 60’s & this sandwich was a staple in my house. We all loved it! I must say it’s been a long time since I’ve had one & am cookin’ the bacon right now! Mmmm.